If you’re running a business, you’re obviously concerned about efficiency and financial stability. The quicker and more effectively you can do business, the better profits you’ll see. That’s where Ultimate Automation can help. 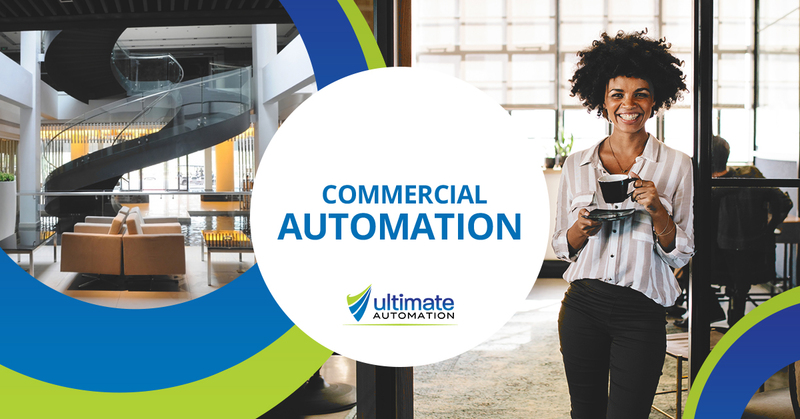 Our commercial automation services, like automated blinds, business security systems, and business audio and video, can transform how you do business and lead you and your crew to short-term and long-term success. Processing and managing of all warranty issues with equipment. All labor for work required is covered. In the case of emergency, we provide a 4-hour service guarantee! Proactive remote monitoring is included so we can monitor and service your system instantly! Your unique ideas are what make your business stand out from the pack. If you have plenty of unique ideas for your business that we could incorporate, we’re happy to build a custom solution that meets all of your needs. Request a free consultation, and grow your business today!